This past week I was able to attend a workshop at the Nonprofit Center of Milwaukee called “Social Media Strategy: Developing a Plan for Your Organization.” The workshop was taught by Matt Brown of MKE123, and turned out to be a great learning experience. Though it was geared toward non-profits, there were some strategic planning tips that can be applied to any business. Too often, an organization hears they NEED social media NOW, so they jump right in. Usually the ‘set up social media’ to do item is delegated to the youngest, most computer-savvy staffer. So what do they do? They go in and start signing up all over the place! Suddenly your business has a Facebook account, a blog, a LinkedIn account–and you’re on Twitter, YouTube and Pinterest. So, now what? There they sit, with little or no updates. Social media, to quote Mr. Brown “is a conversation tool, NOT a mouthpiece.” It differs from a website because it is active: meaning it needs constant attention and regular updates in order to stay relevant. In cooking the term “mise en place” or “everything in place” is used to describe the way chefs assemble their ingredients prior to making a dish. When it comes to social media strategy, this term can be applied as well. You must first assess what you have in terms of time and staff experience, what your existing plan looks like, what your target audience is, and what specific goals you’re trying to achieve. Mr. Brown wisely recommended writing down all of the goals you can think of and then narrowing it down to your top three. He also recommended using the SMART goal strategy; each goal must be: Specific, Measurable, Attainable, Relevant and Time-Bound. Once you set up three goals, then you need to define and analyze your target audience. Does your target audience use social media? What sites do they use? For example, if your primary clientele consists of college students or young professionals, then a social media site that is relevant to that audience might be right for you (a la Facebook). If you’re trying to SHOW something to your customers (so visual media is important), then you’ll probably want to consider a YouTube account. If your business is very visual/design-oriented then perhaps Pinterest is the way to go. As always, it’s important to understand the nature of the different sites. There’s nothing that looks worse than having a bunch of social media accounts that are never updated. Some social media platforms (especially Facebook) use algorithms to detect the popularity of your accounts. If you’re popular, your posts are pushed to the top of your customers’ newsfeeds. So if your account is never updated, then on the rare occasion when you do actually try to reach your customer base, your news won’t be on their radar. The same idea applies to Twitter. If you don’t have time to post 8-10 tweets per day, your Twitter account is irrelevant. BEFORE creating a social media account of any kind, it’s mandatory you understand both your target audience and the concepts behind each social media and social networking site. Like most things on the Internet, often your mistakes cannot be easily, quickly or permanently undone–so think before you act! Determining when you should use Facebook or Twitter, or other sites, means breaking the sites into categories: social networks (Facebook, LinkedIn, Google+), online communities (MKE123), blogs, microblogs (Twitter), and media (YouTube, Pinterest). Consider the information and appropriateness of each side of your message. Is a media-sharing site relevant to your business and message? Do you want to engage your followers in a dialogue and constant interaction, or do you want to be a resource for them, perhaps providing a longer message? If you feel that you’re only able to post a few times per week, then a blog may be a better fit for you. Customers will follow blogs as long as they are updated consistently and concisely. 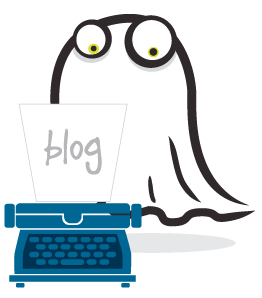 Niki Robinson posted some great guidelines for building your blog and keeping it up in her post Momentum Matters: Keeping That Blog Up-to-Date. At a minimum, your social networking presence should be a tool to help you connect with customers, not a burden or a chore to stay up on. If you stretch your message too thin, your customers will notice, ultimately reflecting poorly on your business. Keep content fresh, and keep your profile limited to what you can handle. Periodically check your metrics, to make sure that you’re using the right social networking tools to connect with clients. Thanks to Matt Brown at the Nonprofit Center of Milwaukee, for a thought-provoking and informative discussion on social media and strategic planning. Still not sure which social network is right for you? Struggling to come up with something to post on your social media sites? Want to discuss gourmet French cooking? Contact Posts By GhostTM or leave a comment below! Image courtesy of Flickr user ChrisL_AK.